Located just a 7 minute walk to Central Coorparoo and the restaurants, cafes, shopping, bar & transport ensures that this is an amazing opportunity to secure a fantastic investment or perfect home. •	Expansive living, dining & kitchen area with new flooring throughout leading to front balcony. 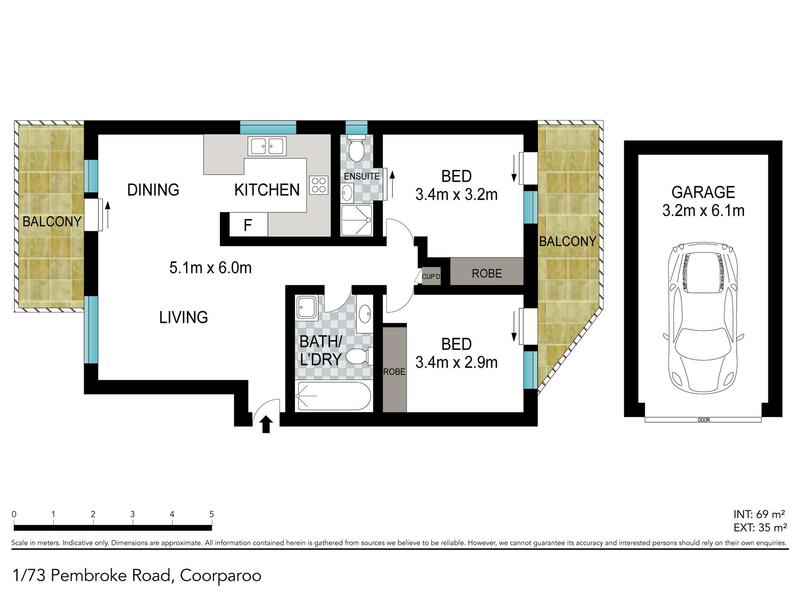 •	2 generous size built-in bedrooms with an ensuite in the master. •	Both bedrooms access the back private balcony overlooking the botanical rear gardens. •	Main bathroom includes a shower over the bath and also houses the internal laundry. If you are looking for a property with style, size, location, security and convenience make an inspection of this lovely unit a must!